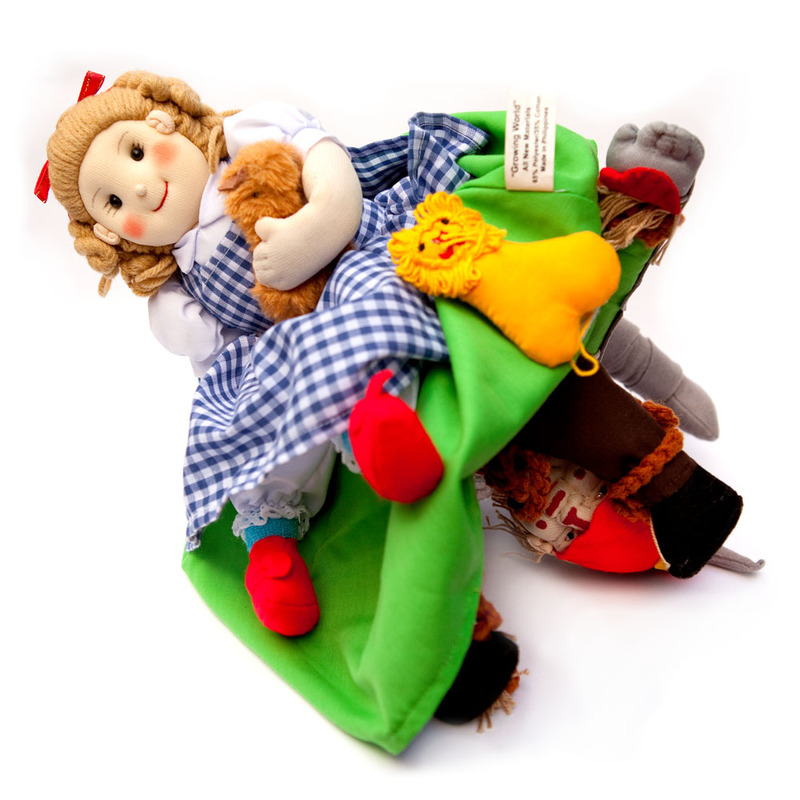 This ingenious design lets you play through the whole story of classic tale of the Wizard of Oz as all the characters are contained within a single doll! 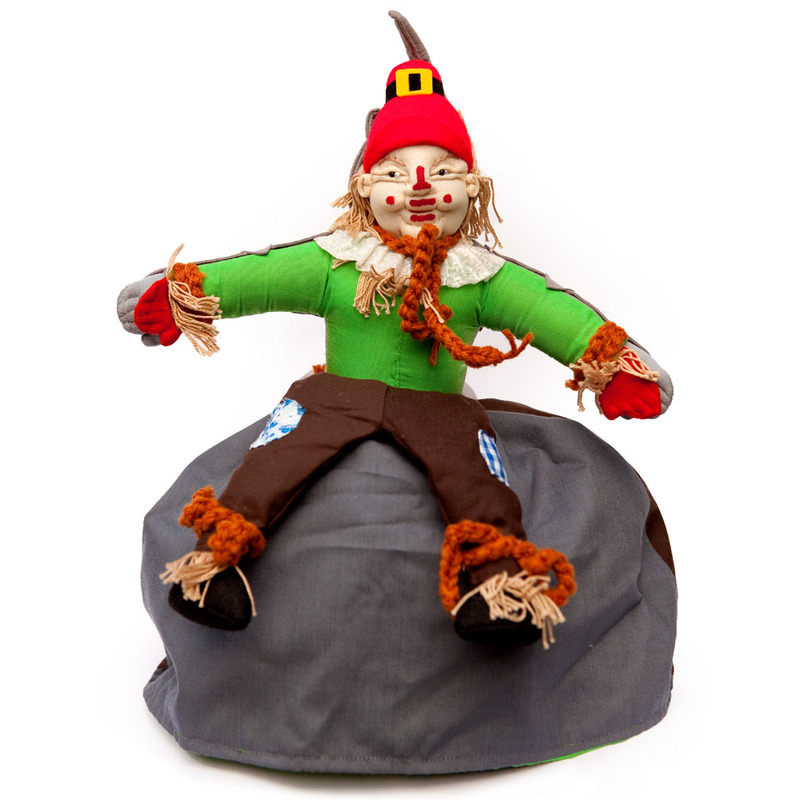 Up one way, Dorothy and Toto appear innocent enough, but flip her skirt up over her head and two of her travelling companions will be revealed - the Tin Man and the Scarecrow. 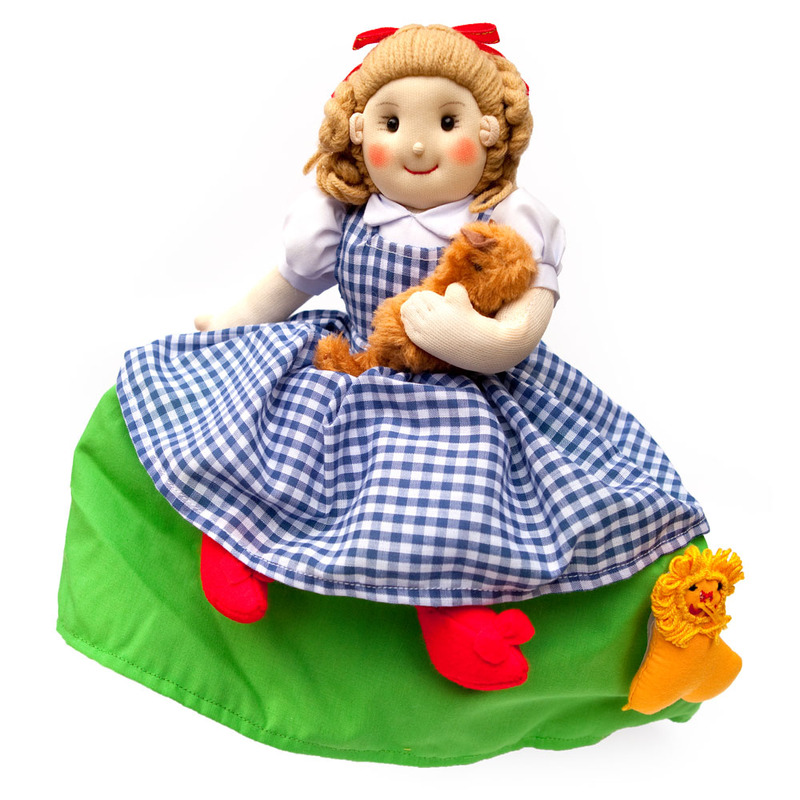 The friendly Lion is fixed to her skirt with Velcro. 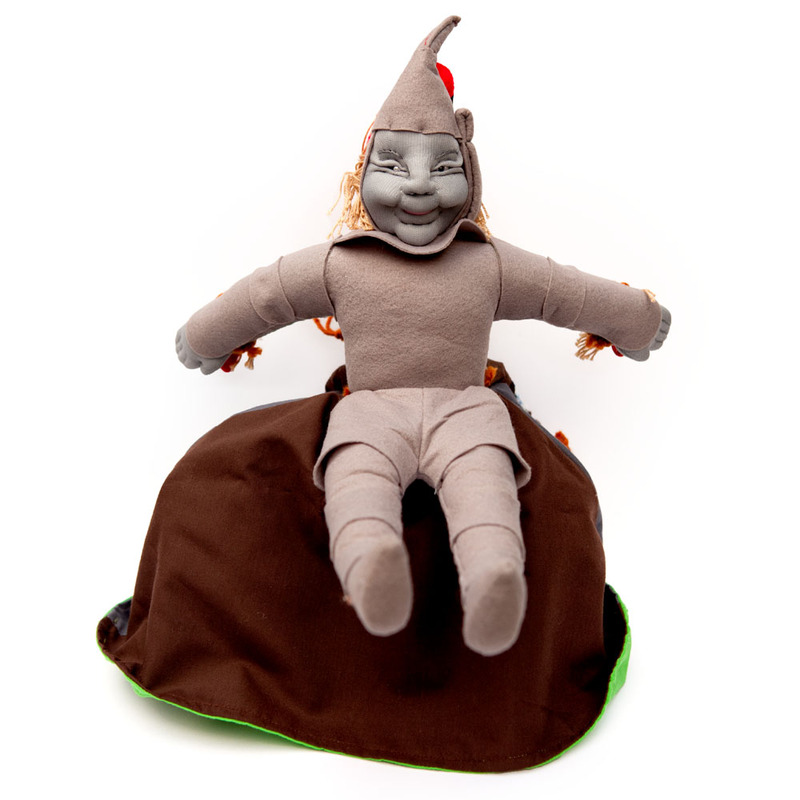 This doll is one of a large range of storybook dolls available - they're such a great concept! Your child will delight in the characters and the story is sure to take many paths as new ideas come to life through the medium of storytelling. Promotes imaginitive play. This Lmall doll measures approx. 29cm "head to head".